"Thistle Doo' Has all the old world charm of the Cheoy lee design's. 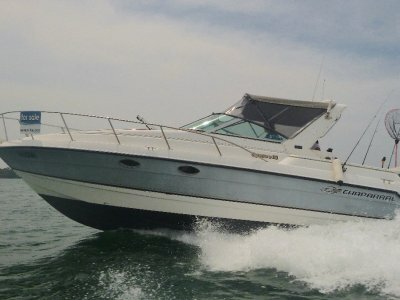 A great affordable family boat. 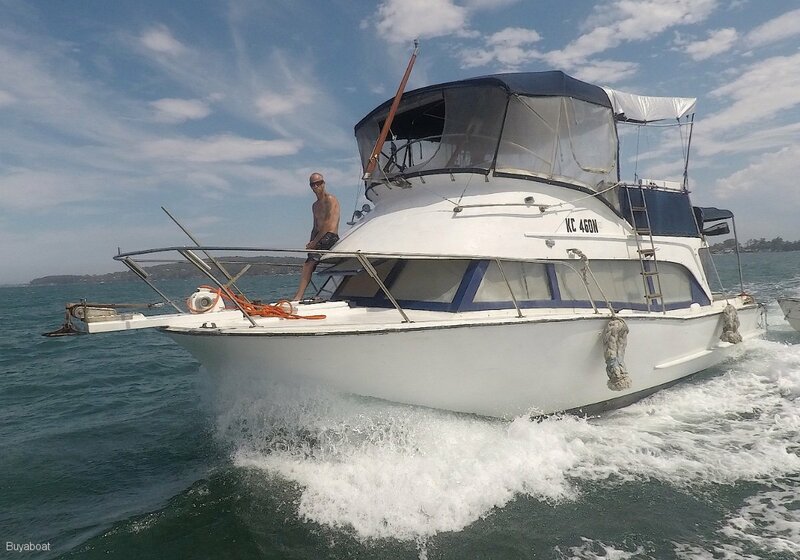 The Owners have put a reconditioned engine in her in 2016, with only about 15 hrs on her. She comes with Spare legs, spare motor, numerous parts. 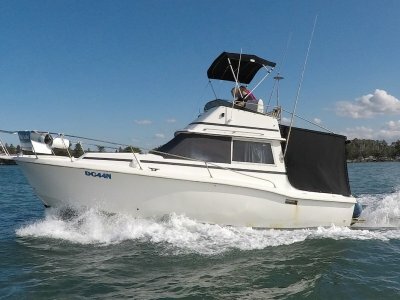 Heaps of room with V berth double bed, Dinette double, cockpit bed and flybridge Double. Sleep all the family and mates. Good Condition reconditioned 2016, Spare motor, 2 Spare legs, numerous parts. Aluminium holds 3 in good condition. 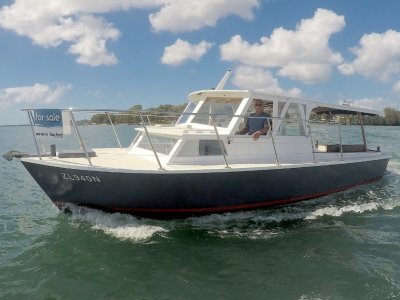 New Clears flybridge, window shades, cockpit clears. 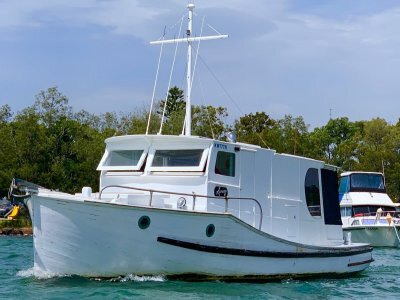 V berth double, dinette folds down to double, cockpit bed double, flybridge double. Electric macerator with Hand basin and cupboard space. Port side galley with double stainless sink, butane stove, hot and cold water. Old pub type fridge ( not working but great cupboard. 4 life jackets, fire extinguishers 2, fire blanket, torch. LED + 12 v lighting, 1 house battery, 1 start battery, 2 small 20 w solar panels. Boat mooring hook, boat ladder, fishing rocket launchers.